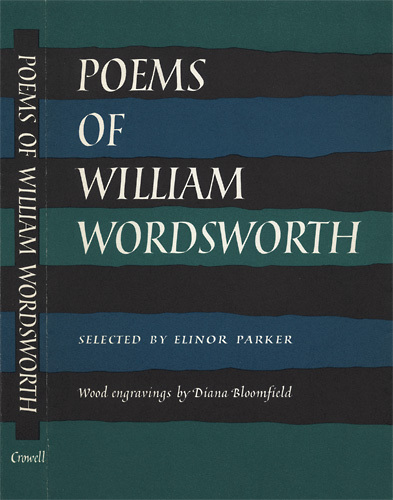 Wordsworth, William. Poems of William Wordsworth, selected by Elinor Parker, with wood engravings by Diana Bloomfield. New York: T.Y. Crowell, 1964. 147 p., 21 cm. Dust jacket design.